Inside the secret meeting between George Piggins and News Limited boss John Hartigan that saved South Sydney Rabbitohs | The Courier-Mail. IT was the hour-long meeting between a rugby league legend and a senior Rupert Murdoch executive that kick-started South Sydney’s ­extraordinary return to top-flight rugby league. Here, for the first time, The Daily Telegraph can reveal details of a high-powered meeting between then News Ltd chief executive and chairman John Hartigan and former Rabbitohs chairman George Piggins. At the time, Souths had been excluded from the premiership by News, a 50 per cent owner of the NRL. 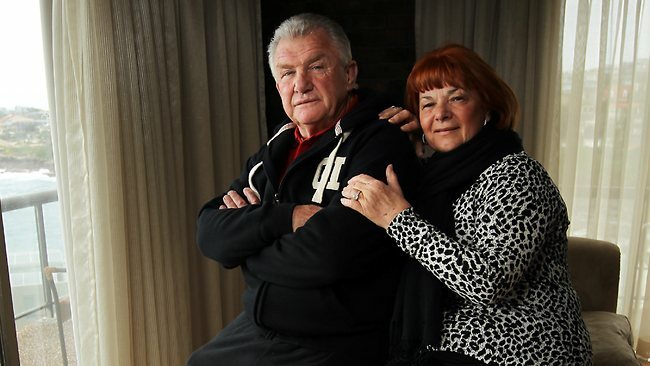 But at the urging of ex-Rabbitohs media manager and passionate Souths man, Norm Lipson, Hartigan ventured to Piggins’ South Coogee home in early 2001 to discuss the possibility of a shock Rabbitohs return. It was a meeting where trust was born between warring parties. Hartigan, Piggins and Lipson ate biscuits and drank tea made by Piggins’ wife, Noelene. Lipson said he “broke the ice’’, saying: “There’s no animosity here, we are here to clear the air and work something out for South Sydney.’’ Yesterday, Hartigan recalled the importance of the meeting as Souths, 12 years on, play for the minor premiership tonight. 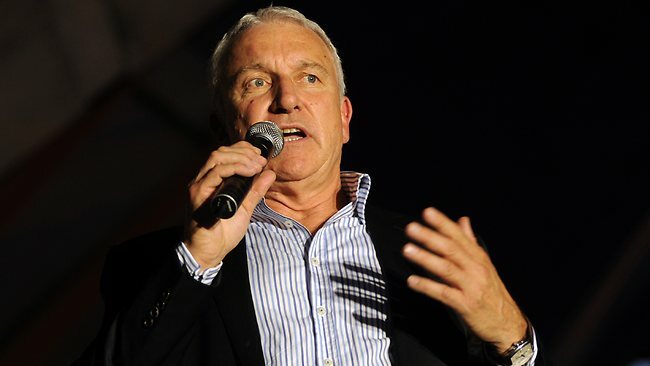 “At some point, logic had to take over from litigious lawyers at 10 paces,’’ said Hartigan, who was appointed to News’s top position after the decision was made to axe Souths. Souths had enjoyed some court success for readmission but News could have continued to fight through the High Court. Hartigan immediately saw the passion in Piggins’ eyes. And the decision was soon made — bring back the Rabbitohs. “Norm rang me and asked would I be prepared to meet with George,’’ Hartigan said. “I said I most certainly would and, if there was anyway through this, we will do whatever is necessary. “Norm asked whether George would come into News Ltd, I said no and that I would be prepared to meet him on his own territory. “I was even prepared to go into the heart of his territory at the Cauliflower Hotel (in Waterloo). “But the meeting turned out instead to be at George’s home with lovely Noelene making biscuits and tea. “The negotiations up until that stage had been done through lawyers and all of a sudden you look eyeball-to-eyeball with a person who had such a high level of conviction. Piggins on Thursday recounted the meeting. “We just spoke — John was there to see if there was any ground he could take and I was convincing the other way,’’ Piggins said. Souths returned to the NRL in 2002. Now, finally, a premiership beckons. “The interesting thing about the meeting was the mood of conciliation from George and News — an air of compromise,’’ Hartigan said. “We wanted to look at a range of options that might allow each party to get on with their business. 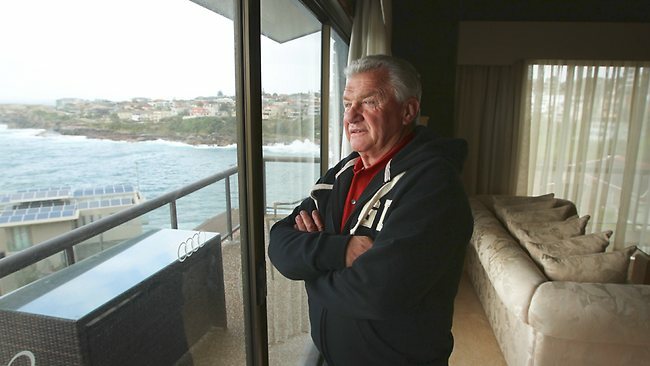 They ­varied from such things as a merger with Cronulla. Hartigan now sits back and watches South Sydney’s success with pride and delight. “I couldn’t be more delighted seeing Souths in such dominant form,’’ he said. “It’s not rocket science. When you have Souths firing, you have yourselves one hell of a competition. After the meeting, Hartigan and Piggins shook hands warmly. “And when Souths was reinstalled I rang George to congratulate him,’’ Hartigan said.